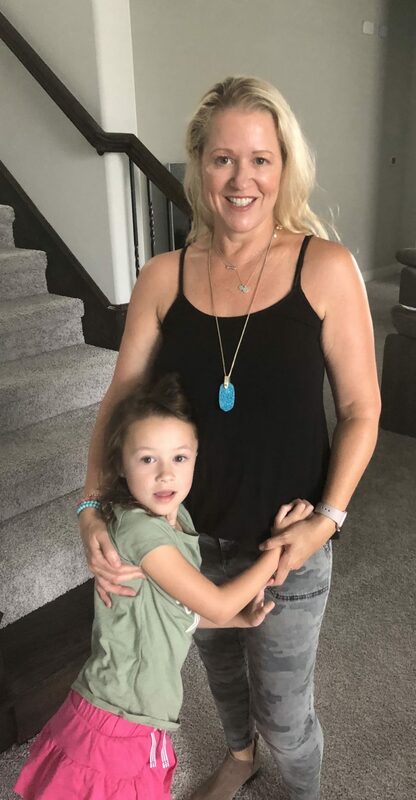 If you follow me on social media or asked me about products I love, you know I always bring up Fitglow Beauty Products, as well as founder Anna. Anna is so knowledgeable about safe skin care and make-up and makes products that are safe for us that perform. Check out my other post on Fitglow Beauty here. Let’s get down to business. What you really want to know is will it work (am I right?!?!)? Now remember I can only tell you what it did for my skin and if it met the claims. Everyone is different, their skin and how they react to ingredients. I always think it is great if you can test the product for a few days first before you buy it with a sample. Try not to add multiple new products to your routine at the same time (believe me I learned from experience). Keep it simple, try one new product at a time and give it more than a few days (sometimes weeks) to see if it works. Unless of course you have an allergy or reaction to a product then I would suggest stopping the product immediately and contacting your physician. I describe Fitglow Beauty Vita-Active Serum as my “skin changer”. 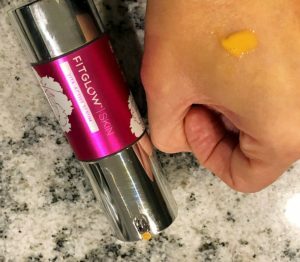 Fitglow Beauty Vita- Active Serum helped improve my skin tone, made wrinkle and aging spots decrease (hello-I’m in my forties I need this). But, you must have patience- it took consistency and a couple weeks to see lasting results. I found my skin took on a new glow when I first started using this gorgeous orange fast absorbing serum. 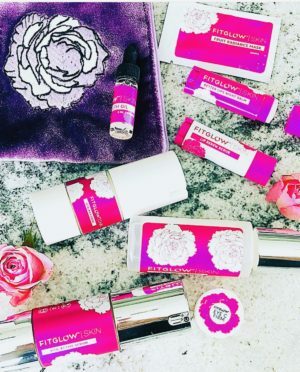 I will admit when I first tried Fitglow Beauty Serum (when I started my green beauty journey years ago) I was also trying lots of other products at the same time (note to younger self don’t do that-this is another story). Now I know better and as Maya Angelou famously said “Then when you know better, do better.” The Vita-Active Serum has transformed my skin. Serious!!! Made with vitamins, plant stem cells, 20% Vitamin c, Vitamin B3 and lots of other ingredients to help dull, damaged, fine lines and texture. I found that Vita- Active Serum benefits to be true. My brown spots around my eyes decreased, my skin looks so much healthier with a pretty glow (dare I say more youthful). I simply applied Vita- Active Serum at night after I wash my face with their Vita-Active Cleanser. It is the first product I put on after washing my face. I give it a few minutes to sink in, then use moisturizer and eye cream. Plus, the container it comes in is my favorite- easy to use and no mess . I use one to two pumps and apply to my face and neck. I don’t have to put my hands in a container/jar, even though my hands are always clean when I apply anything to my face it is so nice to have it come straight out of the container. Know what I mean? The product stays clean until you’re ready to use. Fitglow Beauty Vita- Active Serum performs. It truly does exactly what it claims to do- improve skin clarity and skin tone, plus reduces signs of premature aging. I know it is a little pricey but it works. Remember, you can always chat with the knowledgeable beauties at Fitglow to see if the Vita-Active Serum is right for your skin and try a sample if you can before you commit. Have you tried Fitglow Beauty Vita- Active Serum? Please let me know you thoughts below-would love to hear. Previous Post CRUNCHI with an “I” – not just make-up. It’s a lifestyle – a way of life! Next Post Any planner gals here? The Erin Condren Seasonal Surprise Box for Spring is here!